Vitamin That Can Slow Alzheimers Most with New Clinical Test? Yes, there is a proven vitamin that can slow Alzheimers early stage! And, if you suspect Alzheimers early stage, you can easily ask your doctor for a new Alzheimer's test to find out if you can benefit. Why? Because Alzheimers meds have very undesirable side effects. Instead, researchers are now testing Alzheimers natural treatments. So which one is the vitamin that can slow Alzheimers the most? 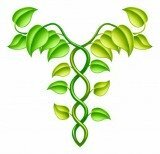 Why might you ask your doctor for a TEST for your homocysteine levels? An immaculate clinical trial has shown that B vitamins stop memory decline in people with Mild Cognitive Impairment whose homocysteine levels are high. High Homocysteine is a marker for high inflammation, and when this is reduced, memory loss can become stabilized or even reversed! The study, published in the International Journal of Geriatric Psychiatry, was a two-year, double-blind clinical trial involving 266 people over the age of 70 with Mild Cognitive Impairment. The group was randomly assigned to receive either a daily dose of vitamins comprising 800mcg folic acid, 500mcg vitamin B12 and 20 mg vitamin B6, or a dummy pill. Those taking the vitamins and who had originally had high homocysteine levels, had become stabilized, with no further memory loss! ALZHEIMERS TEST FRONT PAGE NEWS? This discovery about the B vitamins should have been FRONT PAGE NEWS news! Fortunately, your doctor can easily order this simple TEST as part of routine blood work. This homocysteine TEST can certainly help you avoid Alzheimers early stage! The Vitamin That Can Slow Alzheimers Most? A good diet has many vitamins and minerals. But the B vitamins are key, especially for Alzheimers early stage. So eat your spinach and and add vitamin B supplements for slowing Alzheimers early stage. The exact mechanism by which the omega-3 fatty acid DHA deters Alzheimer's Disease has been determined. Fish oil has long been advocated as an affordable supplement to prevent or at least delay this disease. UCLA scientists have confirmed this claim and now know the details of the underlying mechanism. The presence of the omega-3 fatty acid docosahexaenoic acid (DHA) near neurons increases production of a protective protein called LR11. This LR11 protective protein is LOW in Alzheimer's patients. If there is enough of this protein, it destroys the plagues in the brain that are believed to be the cause of Alzheimers disease. These plaques are made of misfolded proteins called beta amyloid that are thought to be deadly to neurons. Since the plaques are formed in the brain many years before symptoms of the disease are noticed, DHA should be included as a preventative measure rather than as an Alzheimers natural treatment only. Scientists such as Gregory Cole are "finding a safe and effective new approach to prevention and Alzheimers Disease treatment that is tremendously exciting." Dr. Cole is a professor of medicine and neurology at the David Geffen School of Medicine at UCLA. Anti inflammatory and artery protective omega 3 fish oils as well as vitamins, herbs such as ginkgo and spices such as curcumin. There are also NEW, protective medical proteins that improve the brain. 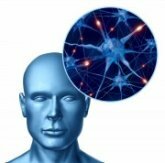 Many people have reversed Alzheimers symptoms using these neuro-protective proteins. 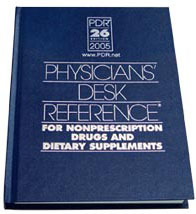 We would recommend those listed in the USA Physician's Desk Reference. A supplement with "cytokine modulating proteins" to combat inflammatory Cytokines to help slow and even reverse some Alzheimers Disease symptoms. Another important Alzheimer test is to rule out the possibility of statins and memory loss. If your loved one is taking cholesterol lowering statins, you will want to rule out Crestor, Lipitor and memory problems! It may be necessary to discontinue this medication to rule out memory loss, or amnesia Lipitor problems. Lipitor Thief of Memory was written by Dr. Duane Graveline after he experienced total memory blanks. The use of Statins and memory loss may not be recognized by your doctor, but lipitor alzheimers can clear up once the medications are discontinued. It is certainly worth a try! Certainly Dr. Graveline lost his Alzheimers Disease symptoms by stopping the medication. We hope that you have found new inspiration to use this vitamin that can slow Alzheimers even beyond Allzheimers early stage. This new Alzheimer's test for homocysteine levels is recommended for anyone who is older, for best prevention! Intervention trials in elderly with cognitive impairment show that homocysteine-lowering treatment with B vitamins markedly slows the rate of whole and regional brain atrophy and also slows cognitive decline. And there is hope for reversal, even with more advanced Alzeimers symptoms. Many people are able to recognize their loved ones again and regain quality of life with better Alzheimers natural treatments. Certainly, Alzheimers care will become much easier for their care givers, because patients tend to become more self sufficient and cooperative, so they are easier to care for. Brain health supplements cerainly can help lessen the negative effects of Alzheimer meds. Alzheimer natural treatment will help with moods and functioning! 1. Adv Nutr. Vitamins Associated with Brain Aging, Mild Cognitive Impairment, and Alzheimer Disease. 2017 Nov 15;8(6):958-970. doi: 10.3945/an.117.015610. Print 2017 Nov.
2. J Nutr Health Aging. Plasma Homocysteine and ...Omega 3 Polyunsaturated Fatty Acid Status in Older Adults at Risk of Dementia. 2017;21(10):1075-1080. doi: 10.1007/s12603-017-0989-x.